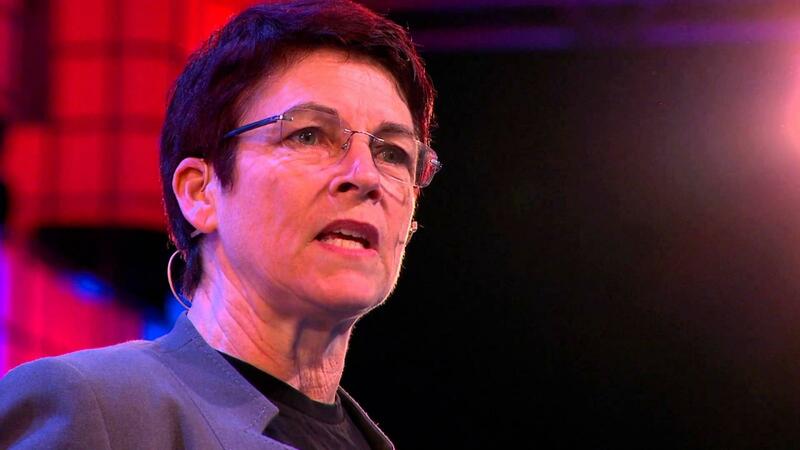 Whilst we were at Web Summit this year we met Andra Keay who runs the unique organisation Silicon Valley Robotics, an organisation which supports the innovation and commercialisation of robotics technology. Lets face it, the future of robotics is merging ever so closer to the world of humans and organisations like this one are preparing us for that imminent reality. Andra tells us about a world not so far off which might even be “indistinguishable from magic”. Can you start by telling us a bit about Silicon Valley Robotics? We’re an industry group supporting the innovation and commercialisation of robotics technology. So we’re very much about being at the intersection point between research and the real world. Many of our activities are focused around start-ups but they’re also focused around having some discussion about these topics. Facilitating better awareness of how the technologies are moving forward, what some of the issues of the technologies may be and creating better connections between robotics companies. We have more investment in robotics than anywhere else in the world so we’re a very fast growing area at the moment. Are you very hands-on in projects or is the company more of a think tank? We came about because a coalition of robotics companies wanted to support each other and promote robotics. So we’re very much a grass roots company and as such we deal with a lot of different robotics companies. We try to look at trends and issues that can be applied across the robotics spectrum. Robotics is a subject that’s being talked about a lot in the media at the moment. It feels as if science fiction is starting to become reality. How far off are we from that? And what are the issues we’re still facing in terms of integrating robotics into our lives? Things are really changing in robotics and we’re certainly starting to see some science fiction come true. But most science fiction remains just that – fiction. We’ve had robots for the last fifty to sixty years primarily for industrial applications. They’ve been large, comparatively dumb, very precise machines. So at the moment we have robot areas and people areas. There’s still a separation because industrial robots are just not sophisticated enough. Even though they can be very precise in what they do, their perception and ability to sense the presence of people has needed a lot of work. But now we’re starting to see the fruits of the research pay off with a new wave of robots called collaborative robots, or co-bots. There’s a whole range of safety mechanisms that have now been built into systems that make robots safer around humans. And that’s meant that we’re starting to see robots in a wider range of areas. It’s rippling out through what we call the service industries into the consumer realm. It takes a very long time for things to reach the consumer level so I’m most excited about what we’re starting to see. One of the great areas making progress is agriculture. We’re seeing robots being developed that will perform tasks like harvesting and fertilising or simply relaying information about where there’s too much water, or not enough water, those sorts of things. These technologies will allow us to harvest the land more effectively and take better care of it, because we need to increase our food production but we have limited resources in terms of land to do that with. So we need to become much better at how we produce food. Do you think we’re approaching that vision of robots almost as our friends? I don’t mean as conscious beings but humanised and able to interact complexly with us. We can have an interaction with something that is not human and that doesn’t have language because we read story and language into things. If you look at animation you’ll see it’s possible to tell a story using nothing but simple geometric shapes and it can captivate people. I believe we will see robots that aren’t trying to replicate humans but that will utilize some of these characteristics of expression to help with engagement and understanding. At the moment we communicate primarily with our devices through very clunky, unwieldy interfaces like keyboards, code and controls. We don’t yet have a natural, intuitive way of interacting with machines. The three things I think are exciting at the moment are, firstly this transition into service robotics industries. Secondly the emergence of the first real social robots, many of them coming in as consumer devices. Savioke’s hotel delivery robot was an example of that. And the third thing is the development of soft robots. We’ve primarily been building robots out of very rigid materials and I’m excited that that’s changing. What are the ethical concerns? Are there any issues you give weight to in terms of the potential for robots to cause problems in society? Some of the original applications for robotics technology are in the military sector so that’s a clear ethical issue. How do robots make choices that are literally life or death decisions? What regulations and controls do we create around autonomous vehicles? In many instances we already have a legal framework. But we might need to tweak some things to make the law fit properly with the changes that technology brings about. Ryan Calo called for an international body to discuss regulatory issues around robotics. He’s a great legal scholar. I find his opinions are always valuable. He points out that we often go off half-cocked and then later blame the technologies. Drones are an example of that. People get very upset about drones but it turns out the actual problem usually isn’t the drones, it’s the infringement of privacy or it’s something else. And we already have frameworks for those issues. People just don’t see how we’re applying them to the technologies. I think as well that we often don’t recognise how much we already have robots in our lives. We have a lot of very smart appliances. The reality is that very few technologies burst upon the scenes suddenly. There’s usually a gradual build up which allows us to get used to them and to understand what’s happening better. Fifty years from now what do you think Silicon Valley Robotics will look like? As an organisation we won’t exist anymore because we won’t need to. Robotics really describes the technologies that will impact everything around us. I love the way Arthur C. Clarke expressed it. He said that any sufficiently advanced technology is indistinguishable from magic. If all this technology appeared at once it would seem like magic but things happen in slow incremental steps. If we look at our houses and our lives now, fifty years ago it would have looked like magic.